Lately, I have been loving to have a cup or two of tea each day. I think that tea is a great low or no calorie beverage that tastes great! Recently, I was sent some Kusmi Tea to try. 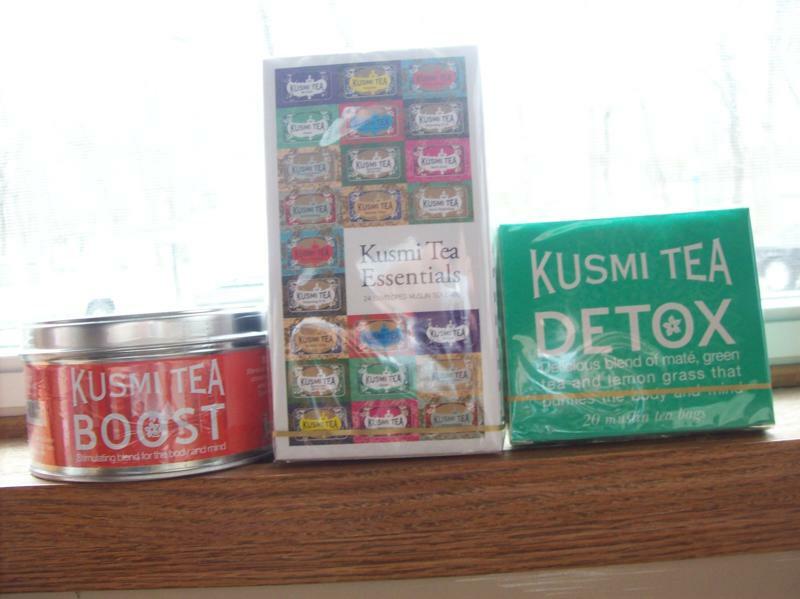 I got the Detox, Boost, and a variety pack of Kusmi Tea Essentials. They sell tea in different ways. The Detox came in individual bags while the Boost came loose leaves. My favorite is the Detox tea. It is a mix of Mate, Chinese green tea, and lemon grass. It is a tea that is full of flavor. My favorite part about the tea was that it did not need any sweetener to taste awesome. I found the tea to be very relaxing and it had a hint of honey taste. This tea comes in cute muslin bags and comes with 24 bags in a box. The tea is pretty expensive at $21.20 a box but is great for a treat. Thanks Kusmi Tea! What exactly does the "detox" tea do for you? I am a huge fan of specialty teas...love a cup of tea while I'm reading up on my blogs!! -Well-known in Amazonia and appreciated for its sweet flavour, Maté is a tonic plant popular for its richness in vitamins,minerals and caffeine. -Green tea, rich in vitamin C, gives the body a good amount of antioxidants. Lemon grass is wellknown for its tonic and digestive properties. Thanks to its ingredients and its lemon flavouring, Detox is the ideal drink to detoxify and restore the body while indulging a delicious drink. Oh man, that detox tea is what I need right about now! !